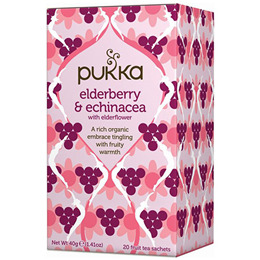 Pukka Elderberry & Echinacea Herbal Tea is a deeply comforting organic super fruity tea. A blend of ripened wild berries and echinacea with a touch of sweet elderflower. This fruit tea is made from ripe organic fruits, slow dried to capture their intense deliciousness giving you oodles of fruit per cup and a deeper, more colourful taste. 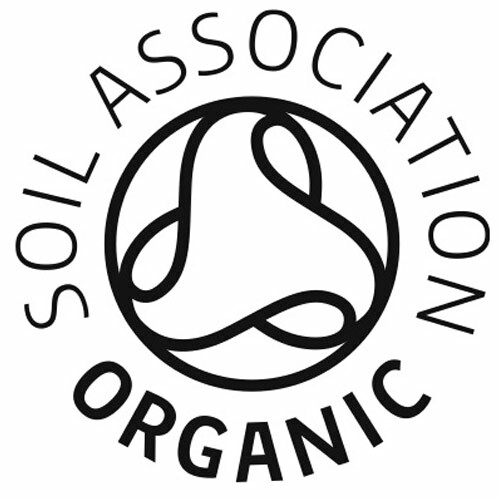 Naturally caffeine free and ethically sourced ingredients: Licorice root*, ginger root*, echinacea root and leaf*, beetroot*, aniseed*, elderflower*, peppermint leaf*, orange peel*, elderberry*, rosehip*, acerola juice flavour*, orange essential oil flavour*, natural blackcurrant flavour. 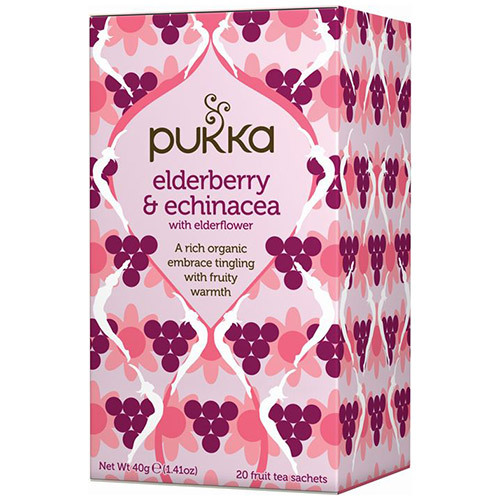 Below are reviews of Pukka Teas Organic Elderberry & Echinacea - 20 Teabags x 4 Pack by bodykind customers. If you have tried this product we'd love to hear what you think so please leave a review. I particularly like the flavour of Elderberry. Good service and prompt delivery. Thank you! Tastes good and does you good. I shall enjoy. Fab new flavour with a little kick!